Watch out Big Easy, Fish Fry is here to stay! 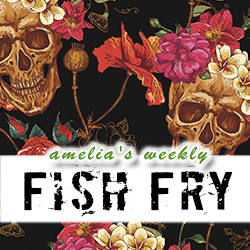 This week’s episode of Amelia’s Weekly Fish Fry takes on the annual Embedded Tech Trends Conference in New Orleans, Louisiana. In keeping with this year’s conference theme, The VooDoo Behind Critical and Intelligent Embedded Systems, Nigel Forrester (Concurrent Technologies) joins us to explore what he thinks are the “dark powers of Intel-based processor boards”. He also introduces to us a new AdvancedMC module that has been used in some super cool applications in the high-speed physics community and reveals his unique connection to William Shakespeare.